Let me tell you a short story, a while back i saw a movie called “IYORE” oh! It had my favorite actor, Joseph Benjamin and it was a must see movie. Okawa Shaznay was one of the lead characters in the movie! What intrigued me the most was the fact that she played three Characters – a sort of Reincarnation. The movie was a twisted tale of love transcending from one lifetime to another and growing stronger each time it is reenacted. 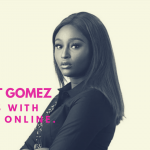 I fell inlove with her art at that very instant and now i have the opportunity of bringing her to our online platform to talk about her journey as one of Nollywood’s finest Actress. Although she was careful not to disclose too much about herself as she is a very private person. 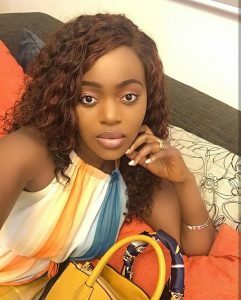 You probably have seen her take on the role Delilah, and you might be curious about the real Okawa Shaznay. Now you have it. Go ahead and have a great read. 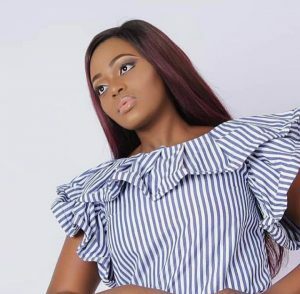 GLANCE – We have seen you on our screens taking on different roles, most especially Delilah.. We probably know you by the characters you played. 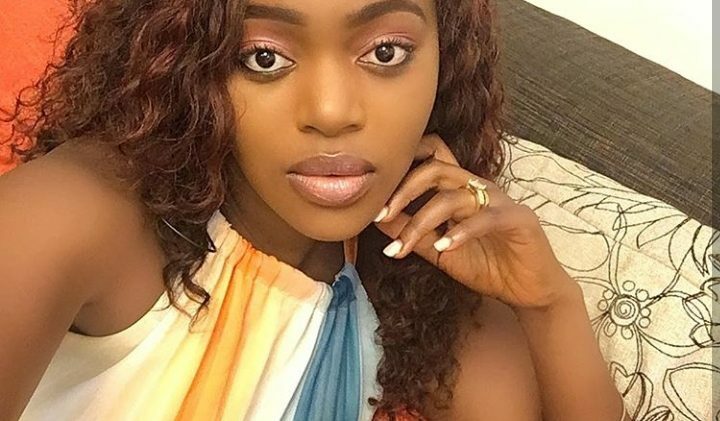 We’ll like to know you more, who really is Okawa Shaznay? Your Educational background, Where you from? How old are you? What’s your story in a Nutshell? 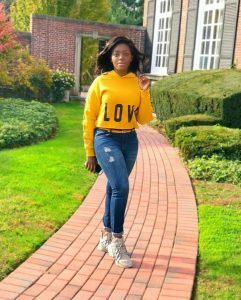 – Okawa Shaznay is from Cameroon specifically from the English speaking region in the North -West of the country. I did part of my schooling in Cameroon and later went to & graduated from Texas Southern University in Houston where i studied Accounting. GLANCE – How did acting begin for you? And how did you dive into Nollywood? – It was my love for watching movies as a kid. I really love watching movies and thought that I would love to do it someday; that’s how my love for acting started. But it really intensified when i watched my first set of Nigerian home videos where I could identify with the people I saw in the films which easily reflected my society as well. So that gave me an added push to want to become an actor. My journey into Nollywood started a few years ago when I moved to Houston for school.There I joined a Nigerian theater and film producing group. Back then a lot of film producers from Nigeria would come to Houston to produce movies. And that’s how networking with them started and given that I had always had it as a plan to come to Nigeria and pursue an acting career; things fell into place when I got here .. it wasn’t easy but with each role the Nollywood journey for me began and still continues by God’s grace. GLANCE – How would you describe your acting styles? – The approach i use when acting is placing myself in the character’s head-space while using my emotional impulses with the core situation within a scene to bring my character to life. I find that I fully immerse myself when I use this method to my acting avoiding any distractions. GLANCE – In the Nigerian Entertainment world today. Who would you say inspires you to become more in terms of Acting? – A number of actors, not singling out anyone in particular per say. BECAUSE as I watch various genres of movies i applaud the unique approaches and techniques some actors use in the different roles they portray which inspires me to become more or even better with my craft. That’s also why I love watching different movies from different regions of the world not just Nollywood movies. Because you learn a lot once you gain a broader perspective on things in this case acting. 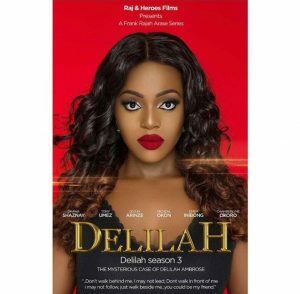 GLANCE – How did you get the role Delilah? And other roles? 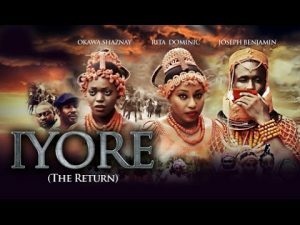 – I was casted for the role of Delilah after my role I played in the epic movie “Iyore”. It was really intense as I had to play 3 different characters in that film.I also did a reading for for the role of Delilah. For other roles I either auditioned or am casted for them based on my past movie roles. GLANCE – Any real life actors nightmares? – So far …nope. GLANCE – What role would you love to play that you haven’t yet? – So many, it just has to be something very challenging and or roles with a whole lot of depth. Generally different roles from the ones I have played so far. GLANCE – How would you describe the entertainment industry back home? Any plans to bring more Cameroonian arts to limelight – It’s still in its primary stage, not as big as what is found here in Nigeria. There are a few People making movies there but there are not a lot of films being produced on a mass scale yet. Hopefully with better funding and distribution things will improve with time. And yes at some point when I start to venture into producing both here in Nigeria and back in Cameroon i plan on bringing on more of them to the limelight through my films. GLANCE – What projects are you currently working on and what should we expect from you in 2019? – I am currently preparing to go on set shortly on my next role before the year runs out. For 2019 by God’s grace you will see me in Delilah season 4, a new series whose title I can’t disclose at the moment. For movies “In My Country” which I was nominated for at this year’s AMAAs for Best Actress in a leading role, “Dark Waters” which I play along side Ken Erics; and others I have shot during the later half of 2018 which are set to be released or aired in 2019. GLANCE – Tell us 5 things people don’t know about you? I used to be a commercial print model. I am not Ghanaian. A LOT of people think I am because of some films I was a part of there earlier in my career but am actually from Cameroon & I reside in Nigeria. My first Nigerian film i starred In was “Iyore” along side Joseph Benjamin and Rita Dominic. GLANCE – Aside acting what other talents have you explored? – I have an interest in photography and want to explore that further more. Especially in landscape and aerial photography. Fun fact about these faves of mine are made with the same leaves but only prepared differently within each country. WE HOPE YOU ENJOYED READING THIS INTERVIEW.